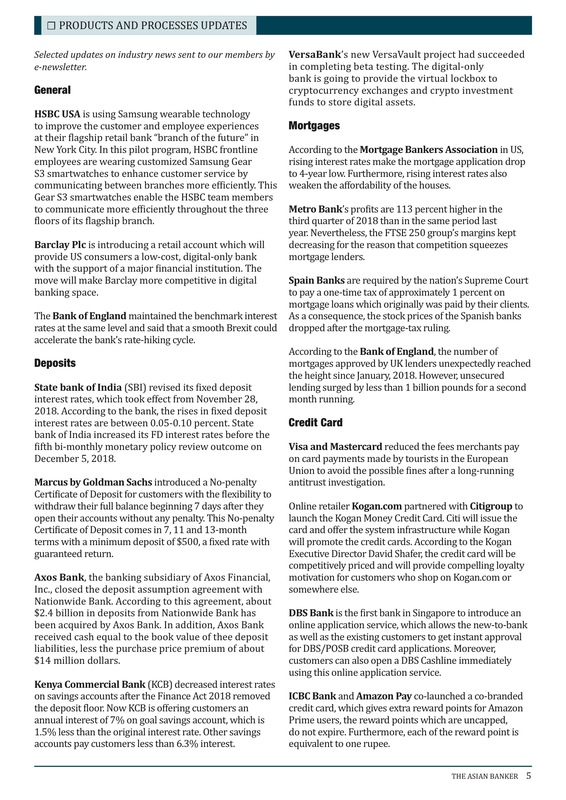 Authoritative monthly reports, which capture not only the the future of retail financial services, but also various hot button topics affecting the retail financial services industry. Produced by our in-house research team, we bring to you interviews, which cover leading retail banking executives' thoughts, incisive trends, snapshots of country profiles, industry surveys, and rankings. Each issue is designed to help you stay ahead of the curve in this ever-changing industry, as well as to help you respond to regulatory and competitive changes in a timely manner. SUBSCRIBE NOW FOR IMMEDIATE ACCESS ! 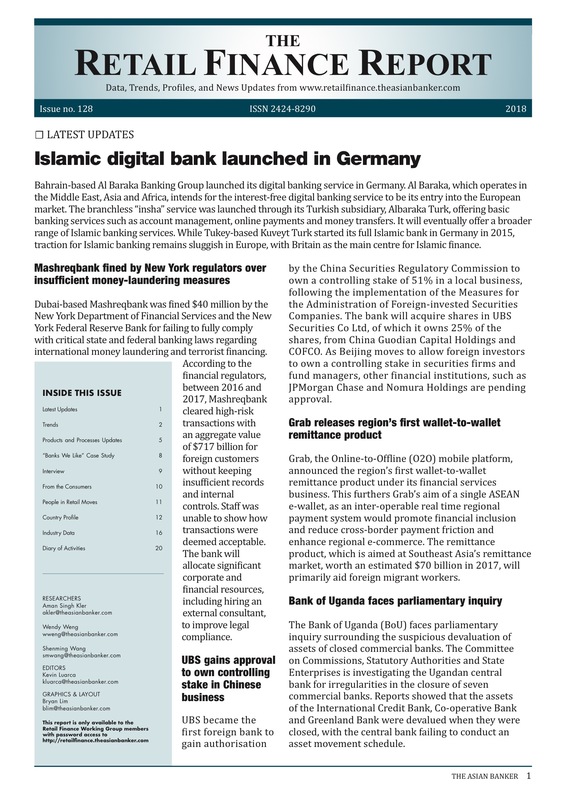 Click here to advertise in our Online Retail Finance Monthly Report. 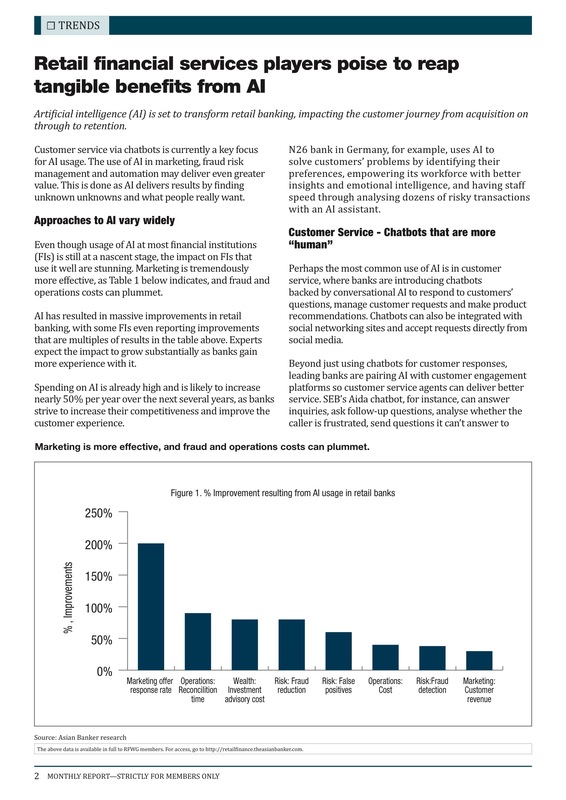 In this issue: A trend article on the use of artificial intelligence by financial institutions to deliver greater value and to transform the customer journey. 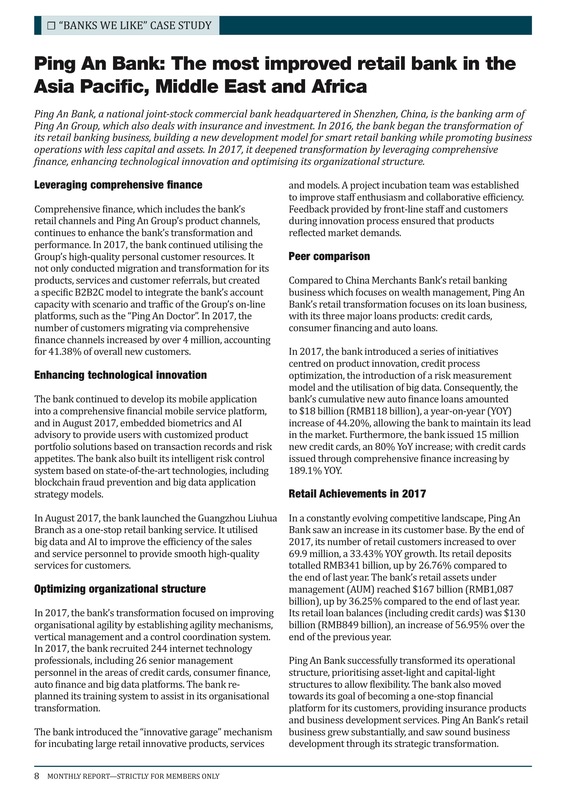 A case study on Ping An Bank and the transformation of its retail banking business through technological innovation and the optimisation of its organizational structure. An interview with Reuben Lai, senior managing director of Grab, regarding the impact of Grab’s cross-border e-wallet on the payments ecosystem and the promotion of financial inclusion across ASEAN. 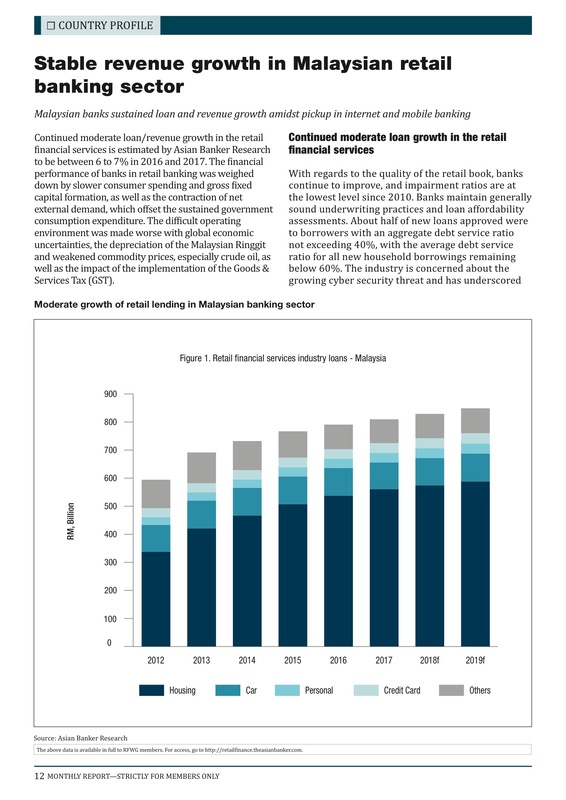 A country profile on Malaysia, which sees moderate loan growth against the backdrop of an increased adoption of alternative payment methods. Industry data following the varying strategic approaches adopted by banks when engaging with financial technology companies.